With the extreme cold weather this winter; please remember to take precautions to avoid frozen household pipes. Air leaks in a building can allow a flow of cold air to come into contact with pipes. Unusually cold weather and high winds creates a “wind chill” effect that can cause air leaks that normally may not be a problem. Wrapping exposed pipes with insulation. Eliminating sources of cold air near waterlines. Caulking gaps near water pipes to keep cold wind away. Allowing a small trickle of water to run overnight will help to keep pipes from freezing. Confirm that you know the location of your main water shut-off valve. Leave the heat on at least 55 degrees Fahrenheit to avoid any issues if your home will be vacant for any length of time. 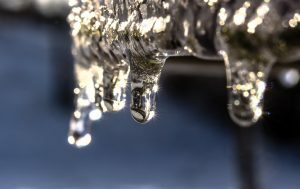 If a pipe does freeze or burst, it is important to know what steps to take. Shut off water immediately at the main valve. If the pipe is a hot water pipe, be sure that the valve on the hot water heater is closed. Contact a plumber immediately. Should an emergency arise, please contact the management office. For after hours emergencies please call the emergency service 855-630-7720. Posted January 31, 2019 & filed under Resources.